Christmas is almost here! I hope you’ve gotten out your decorations 😊. Christmas is that time of the year when you get to dust off the recipe book and try out another way to cook turkey before you return to the tried and tested method that guarantees that you won’t go hungry on Christmas day. I remember back then in Birmingham, on the day before Christmas, I’d go out to buy turkey, plantain, mashed potatoes, gravy, cake, drinks, mixed vegetables and everything else that ensured Christmas day would be a memorable day. Christmas in Nigeria just isn’t the same, we’ll see this time around sha. Faith that God will respond to you. On the other hand, seeing doesn’t involve you trying it out and therefore hinders your ability to ever convince anyone about what you are talking about. This therefore means that our ability to witness (Matt. 24:14) would be severely affected. If hearsay isn’t admissible in the court of law, why should it be admissible in the kingdom of God? God wants each and everyone of us to try Him out for ourselves and not rely on what the pastor or our parents or anyone else tell us about who He is or who He should be. That would be limiting a limitless God to the perspective of the person who told you about Him. To some, He is Jehovah Rapha, to others He is the Jehovah Elohim, but you will not know what He is to you until you taste and see for yourself. That is why when Moses asked God, who should I tell them sent me, He replied with what would forever be the greatest reply ever: I am that I am (Ex. 3:13-14). Meaning that whoever you see God as is who sent Moses. Isn’t that epic? 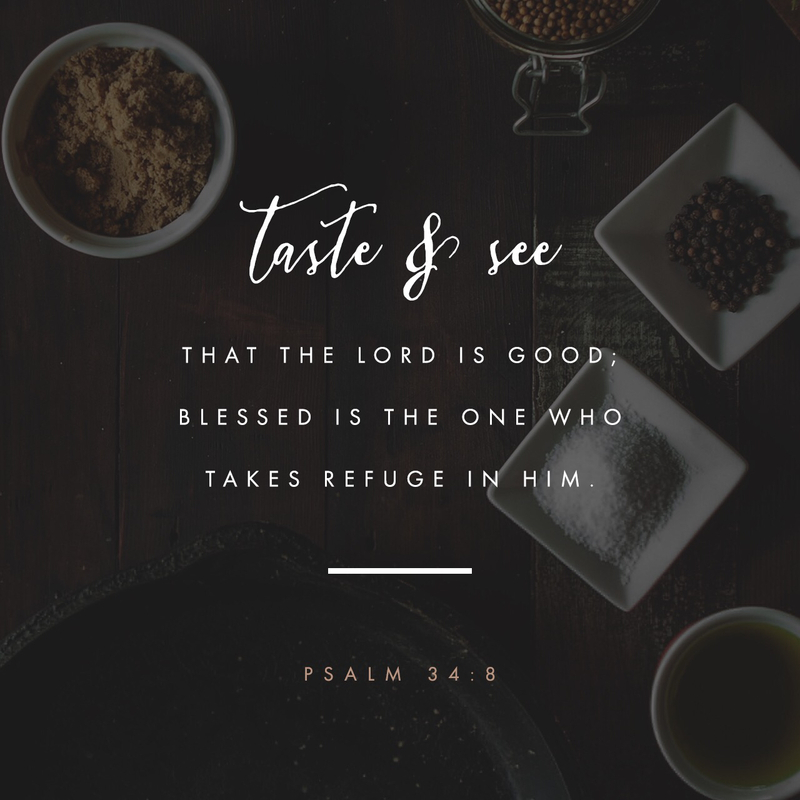 Just like that good meal that you’ll eat on Christmas day, the charge is for you to taste and see for yourself that the Lord is good and in doing so you will be an effective witness unto the world. When next you hear someone tell you seeing is believing, tell them no, seeing is not believing. Tasting and seeing is believing lol.